Leverage SDI’s buying power to get the best prices with this simple, online marketplace of hundreds of thousands of tail-spend and MRO items. Or contact our North American headquarters location if you prefer a more personal touch. Whether through the online system, via text or phone call; manage it all, with a single point of contact. Apalanque el poder de compra de SDI para lograr los mejores precios con un sencillo mercado en línea para miles de artículos de MRO y de gastos varios. Stop chasing your tail – learn how to get a grip on your tail spend with SDI today. 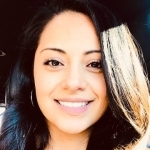 One of SDI’s Senior Purchasing Managers, Gabi is highly focused and detail-oriented with an exceptional record of client service and revenue generation.